Partly cloudy. High near 70F. Winds SSE at 5 to 10 mph.. Rain early. Decreasing clouds overnight. Low near 45F. Winds SW at 10 to 15 mph. Chance of rain 90%. Rainfall around a quarter of an inch. August 13, 1932 — February 9, 2019 QUEENSBURY — Myrtle Julia Ovitt, 86, of Queensbury, passed away Feb. 9, 2019, with her family by her side and is now reunited with her parents and siblings who predeceased her. 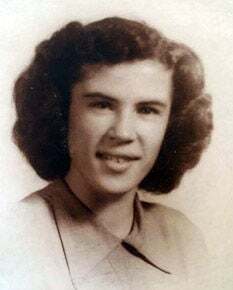 Born on Aug. 13, 1932, in Glens Falls, Myrtle was the daughter of William Kirkpatrick and Marion (Moss) Kirkpatrick. She married Robert Ovitt on April 18, 1954; this April they would have celebrated their 65th Anniversary. After they married, they purchased a home in Queensbury where they raised their family and enjoyed retirement. Together they enjoyed raising Christmas trees, woodworking, camping and traveling with friends and family. Myrtle also enjoyed gardening, crocheting/needlepoint, baking and bowling with the Koffee Klatchers in Lake George. She took pleasure in attending her grandchildren’s activities and events. Besides her parents, she was predeceased by her brother, William Kirkpatrick and sister, Ethelyn Campagnone; and in-laws, Benjamin Ovitt, Ernestine Bovee, Thelma Ballou, Adele Ballou, Stanley Ovitt, Janet Tucker and Karen Monrian. Above all, Myrtle was a loving and devoted wife, mother and grandmother. She cherished her family and treasured the moments spent with them. 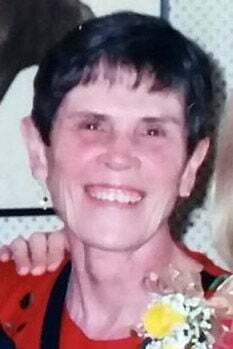 She is survived by her husband, Robert and their three daughters, Sharon Ovitt-Morphis (Jack), Dawn Ovitt and Debra Ovitt (Russell), all of Glens Falls. She was a very special grandmother to Robert Rader (Katy), Katherine Morphis-Berg (Tom), Allison Morphis and Julianne Hanes (Mark) and great-grandmother to Julian, Tilly, Eleanor, John and Margot. She is also survived by her sisters-in-law, Lorraine Jarvis and MaryAnn Ovitt; and brothers-in-law, David Bovee, and Gerald Monrian; as well as nieces and nephews. The family will be privately celebrating her life and passing. A memorial donation may be made to North Country Ministry or a charity of your choice. Arrangements are under the care of Singleton Sullivan Potter Funeral Home, 407 Bay Road, Queensbury and those who wish may make online condolences at sbfuneralhome.com.